Dancing Pet Shampoo. 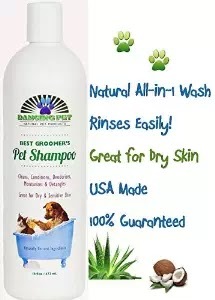 Dancing Pet Natural Pet Products ‪#‎DancingPet‬ ‪#‎Petshampoo‬ @dancingpetlove on Facebook. Check out the Amazon review here.